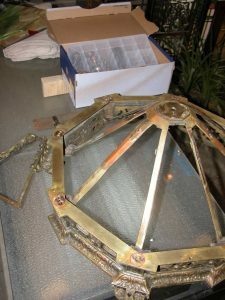 Lamp Repair - Chandelier Repair - Tiffany Stained Glass, Ltd.
Light fixtures that have accidental damage or age related problems can be restored and updated, if necessary. 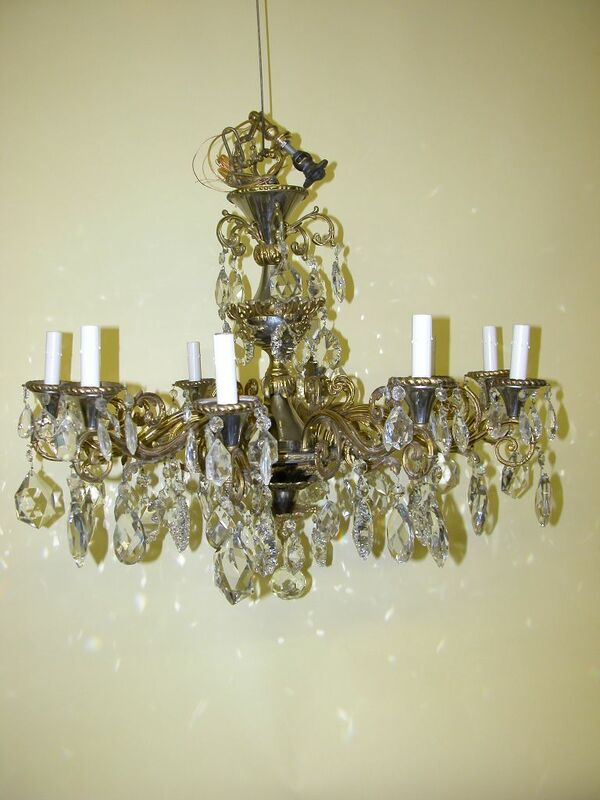 Chandeliers, sconces, pendant fixtures, and flush-mounted lights can be rewired to current standards, and glass components repaired or replaced. Contact Tiffany Stained Glass, Ltd,. for expert advice on how to best adapt your vintage fixtures to harmonize with your interior design and lighting requirements. 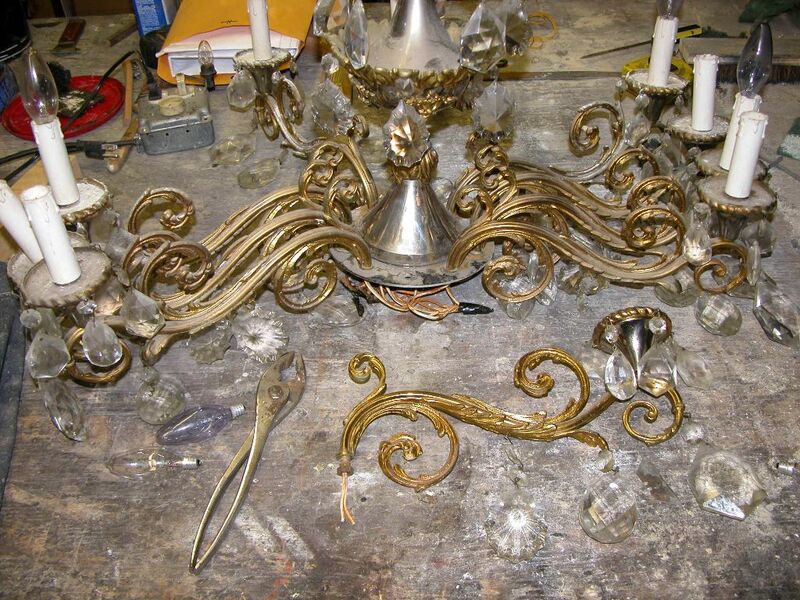 Chandelier repairs of all types, including crystal replacement available. 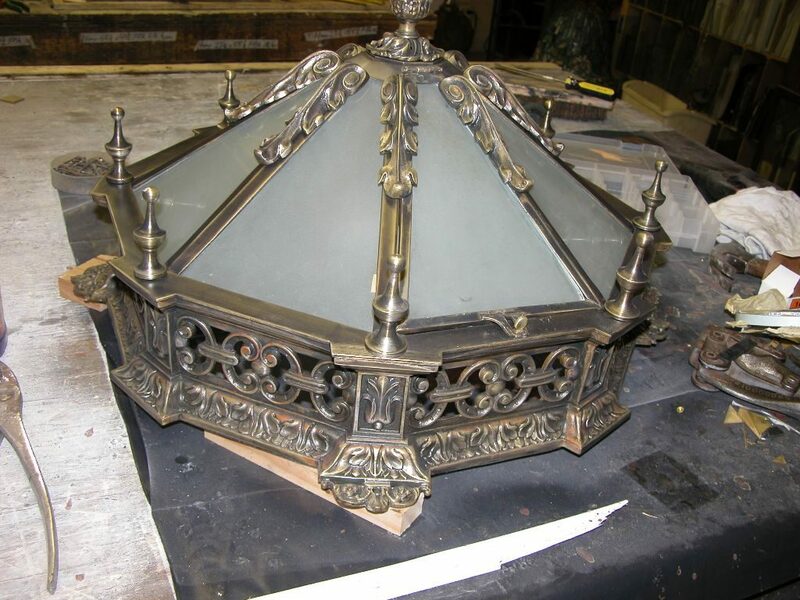 This Arts and Crafts ceiling fixture made of cast and machined bronze was in need of restoration. A broken hinge to an access door was repaired, the metal features cleaned and polished, and the glass panels cleaned. New fixtures and wiring provide a safe installation. 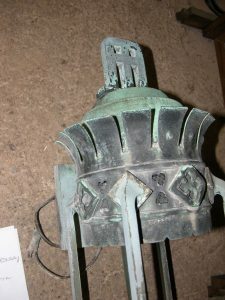 Exterior sconce light fixtures from St. Luke Church River Forest, IL. Weather damaged bronze metal was cleaned and restored to original finish. New electrical components were installed to provide new life to these historic fixtures. Mid-century crystal chandelier was restored from water damage and age. Missing crystals were replaced, and all sockets rewired. 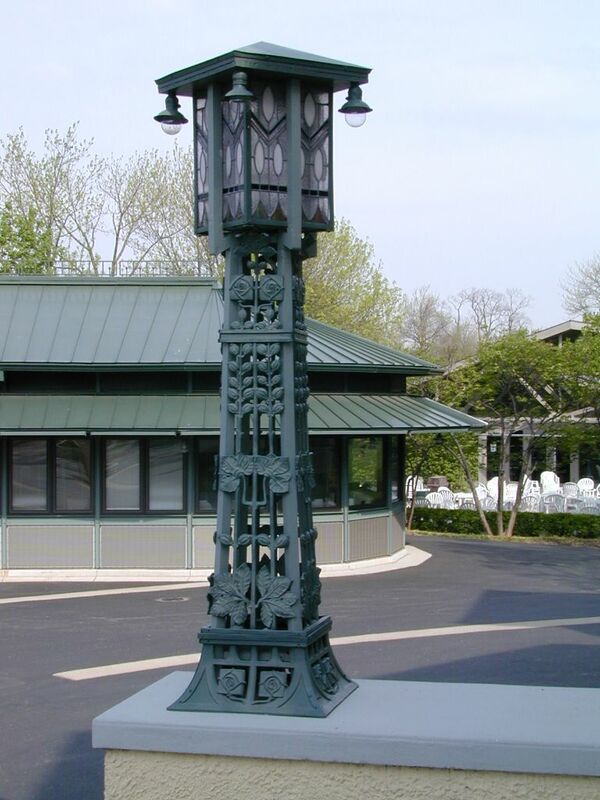 Ravinia’s Martin Theater Lanterns Restored – Highland Park, IL. 1904 construction of the Ravinia Theater, now called the Martin Theater was carefully restored in the 1990’s. 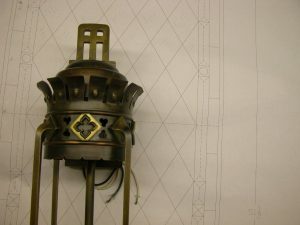 The two monumental fixtures were dismantled, re-painted, glass panels re-leaded, and lighting rewired to giver these iconic fixtures a new lease on life. 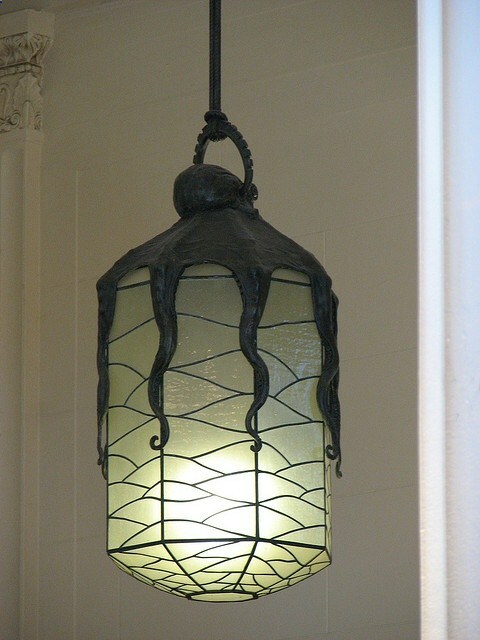 Built in 1929, and currently listed on the National Register of Historic Places, these unique light fixtures were professionally restored by Tiffany Stained Glass, Ltd. All glass and metal parts were cleaned, repaired, and rewired to modern standards. The realistic bronze ornamentation required many hours to re-patinate the metal to the characteristic green “Verdegris” patina.